hmmm..., 26 Jul 2010How do I put music from my music collection on my computer to this phone? Thanks in advance... moreUSB?! Anonymous, 26 Jul 2010How stupid do you believe people to accept lies like this phone has front facing camera? How s... moreLoL. 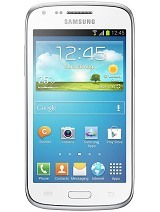 Vibrant is a version of Galaxy S for a US carrier. Go check each phone specs on this site to see the diffs. Who said anything about front camera? Why change the subject, Apple boy? How about that Amoled is dangerous for your eyes study, I asked you about? Let me give you some news about your beloved iPhone 4. When you hold it, you touch the un-insulated antenna, the high frequency signal is absorbed by your skin (that can cause cancer) instead of being broadcast in the air. I saw and I can look for a study showing that using headphones (that's with any Smartphone) is more dangerous than holding the phone next to your head, since the cables of the headphones concentrate the signal to your head. In the iPhone 4 case, the user has direct contact to the antenna when the iPhone emits a signal. And since the received signal drops because you short-circuit the antenna, the iPhone increases the emitting signal power, so it pumps into your skin radio signal close to the frequencies used in a microwave. That's why you deplete the battery so fast, in case you were wondering. How do I put music from my music collection on my computer to this phone? Alui, 26 Jul 2010Are you an Apple employee? You are spreading the same lies about Amoled on the comments page o... moreHow stupid do you believe people to accept lies like this phone has front facing camera? How stupid do you believe to accept the ratings like this for Galaxy when its GPS is broken and the 3G signal is fluctuating when you keep normally this phone in the hand? There are some facts which just blind haters of apple could pass. Anonymous, 26 Jul 2010I had such phone and returned it back. Maybe, in the future, AMOLED will improve. So far, it i... moreAre you an Apple employee? You are spreading the same lies about Amoled on the comments page of iPhone 4 and Galaxy S (at least). Do you have any sources(references) for your statements? How stupid do you think we are to accept your association between CRT and Amoled? Just wondering, 25 Jul 2010OK im going to make the switch to android now . but i was wondering do i need to have a data p... moreyup. u can use wifi. Nagin Swamy, 26 Jul 2010Friends, Finally a Good Combination of Hardware & Software has come together. Got my Fa... moreSamsung Galaxy I9000 doesn't work on 3G at all in US because it doesn't have 1700 for TMOBILE neither 850 for ATT, 1900 being retired on 3G in US. Besides I9000 has the same broken GPS and PenTile AMOLE. HD recording is known to be poor quality don't waste 600 bucks. Finally a Good Combination of Hardware & Software has come together. Got my Factory Unlocked Samsung i9000 2 days back and loving it. I have used/changed several SmartPhones over the last 2 yrs and this Phones to me is the best in the breed among the Androids so far. I strongly recommend Android fans to Buy this Phone if you are looking for one today or need an alternative to an iPhone. Long Story Short it has extremely responsive UI experience(not the TouchWiz but load the other LaunchPro App), Awesome Screen(like no other yet), Feels Very good in Hand(meets the expectation of Users like me who moved from iPhone), All Apps work very well and smooth. Raptor, 25 Jul 2010Though your points are reasonable, I think, you are wrong, Anonymous, in couple respects about... moreI had such phone and returned it back. Maybe, in the future, AMOLED will improve. So far, it is definitely worse than a good TFT - ISP with LED back lit. Anonymous, 22 Jul 2010Using several micron thick cell separators, the light emitted by OLED just passes through such... moreThough your points are reasonable, I think, you are wrong, Anonymous, in couple respects about OLEDS. If you know physics, just several microns (2-3) of almost any metallic layer, better highly reflective one, instead of black dies will totally stop any leak in optical range. It's not easy technologically but i hope manufacturers will figure out how to do that. Because it is possible there is no other way to make cells smaller. As soon as they will solve that there will be no problems to scale the subpixels down and get at least 720p (1280x720p) and even larger resolutions. This specifically is important for this SAMOLED pentile matrix. 33% less subpixels is indeed very substantial loss for visibility of small fonts which otherwise would be much better readable. Meantime AMOLED screen despite it's lower subpixel density will kick LCDs in all other respects. Of course i miss EVO/HD2 resolution not saying about iPhone's one, but still we all need even higher ones than EVO/HD2 and even iPhone offer. So, i will wait a year or two for technology to pick up higher resolutions. Means no full page reading, only captions and leadlines, zooming a bit more often. But typically i zoom anyway. And it's so much joy having its Las Vegas color world, that i excuse its visible pixelation on red, orange and bright white. Green has the same as in EVO/HD2. And less pixels in blue is almost invisible. And since we much more often read black texts on white background we lose less then we'd lose otherwise. Just enjoy finally first useful cellphone. Its anybody know how to set up smart alarm on samsung vibrant ? Louis, 24 Jul 2010I noticed the back of the samsung Vibrant BOX it says it has UMTS I, II ,& IV . I want to ... moreNo, there may be a typo on the box. It doesn't have 850 and 1900 needed for AT&T. I noticed the back of the samsung Vibrant BOX it says it has UMTS I, II ,& IV . I want to use it on AT&T , and according to Wikipedia, UMTS II is At&t's 1900 Frequency of 3G. . . . wouldn't it make sense that the Vibrant should be able too see At&t's 3G NETWORK !?!?!?! I got this phone a week ago. Very nice phone, but i can't find secondary camera and FM radio as its was sad. Can anybody tell me if this phone has FM radio and secondary camera.